MEDinART in the Art Exhibition, “Researchers Night 2014”, NCSR “Demokritos”, 26 September 2014, Athens- Greece. I am delighted to announce that the new MEDinART video will be screened during the art exhibition of NCSR “Demokritos” that will take place as part of “Researchers Night 2014”: the European festival dedicated to sciences. 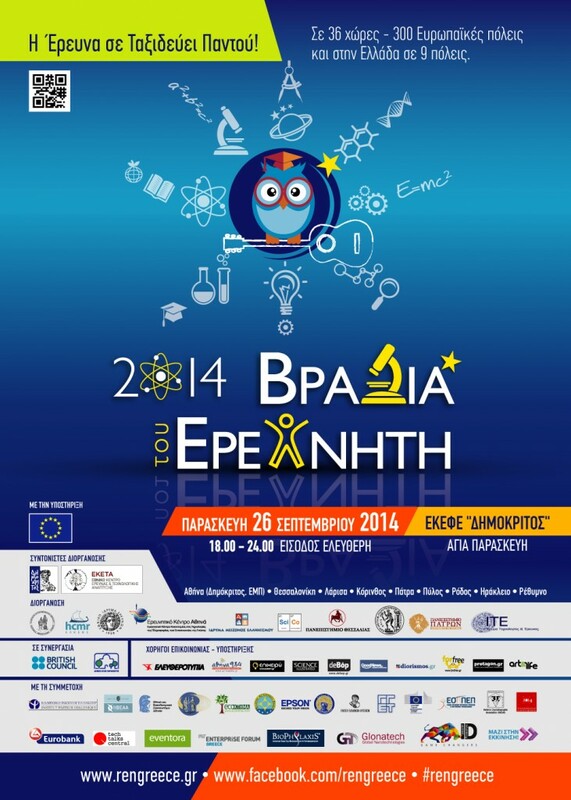 Numerous research centers and universities from 9 cities in Greece and 300 cities around Europe will participate in this Festival, celebrating Science.